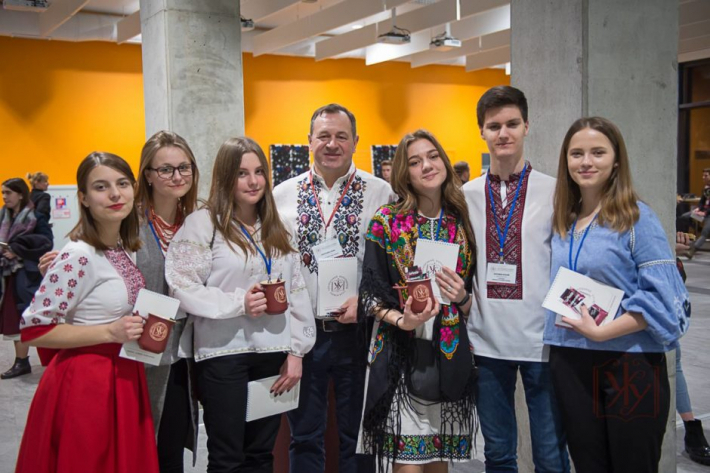 To become a part of community which will change the world, to support young talents and build the future of Ukraine today – these were the thoughts of scholarships’ founders after a meeting with UCU students during the evening “Carols farewell”, which took place in Ukrainian Catholic University (UCU) on February 9. This evening attended 39 scholarship founders and 64 students – scholarship holders. Such an event became a symbol of generosity, joy and kindness, and also a favorable opportunity to wish each other peace, harmony and God’s blessing. Such evenings are organized annually in order scholarships’ benefactors to meet students who they trust and in whose future they invest their resources.